The informal sector accounts for the majority of employment in many developing countries, yet its role in the process of economic growth, and its links with the formal sector, remain poorly understood. Looking at informality across countries suggests that as countries become richer, the share of informal employment falls. However, in recent years, a number of developing countries have experienced substantial growth with little change in the share of informal employment. 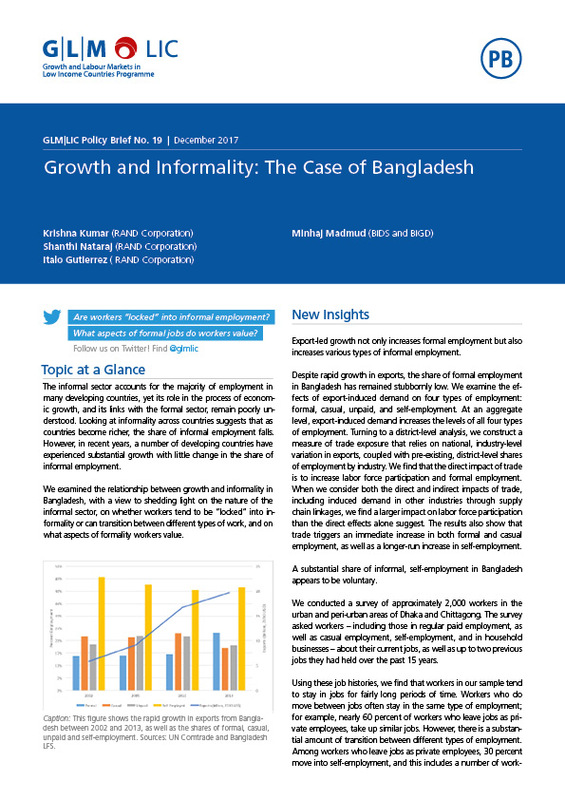 We examined the relationship between growth and informality in Bangladesh, with a view to shedding light on the nature of the informal sector, on whether workers tend to be “locked” into informality or can transition between different types of work, and on what aspects of formality workers value.